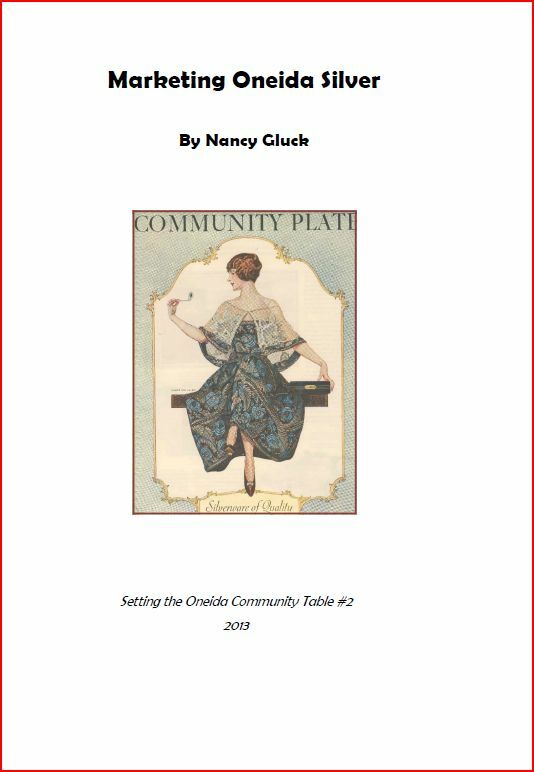 I am publishing chapters adapted from The Community Table (now out of print) as American Silver Booklets. The heirs of the Oneida Community made beautiful, high-quality silver. They also promoted it in a competitive market using innovative tehcniques. Marketing Oneida Silver includes examples of advertising, catalogs and accessory products, with many immages in color. For a listing and links to this and other available booklets, click on American Silver Booklets.